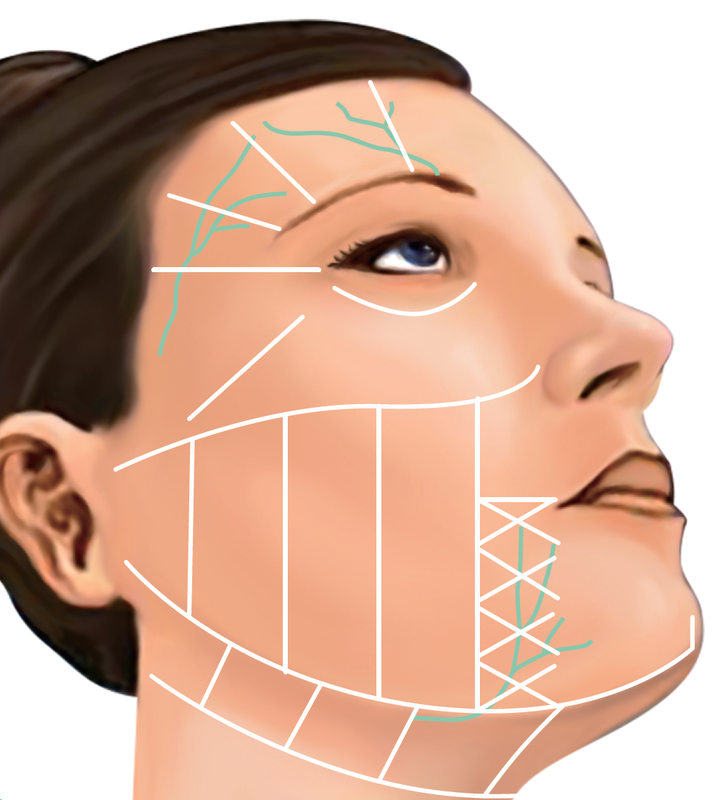 The areas of the body where the treatment has not be be avoided altogether and why. The adverse reactions to professional HIFU treatments. 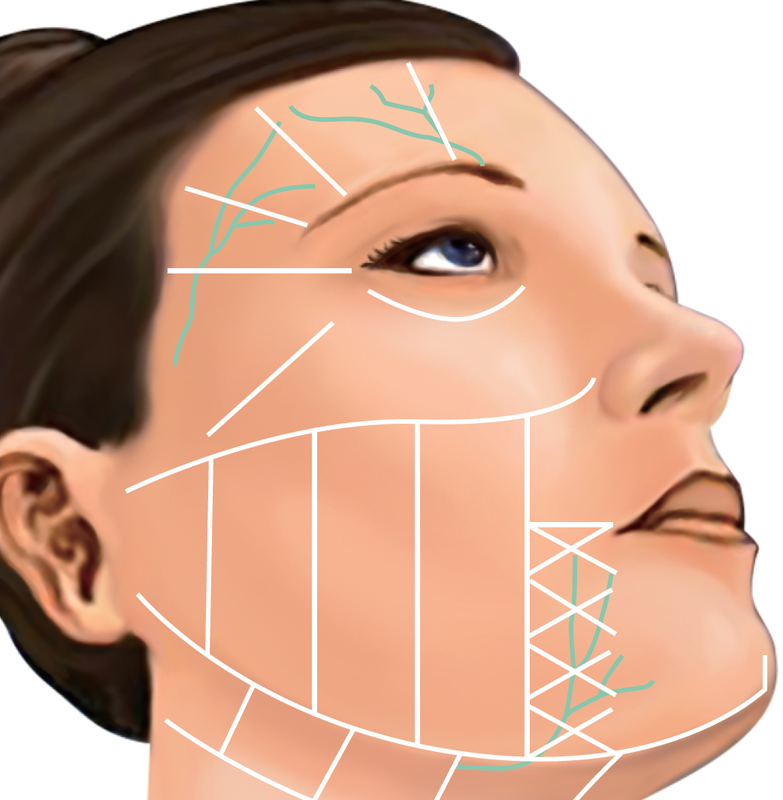 Understanding the physiology of the face and body in order to avoid treatment of certain areas of the face and body. Using the device at minimum power at the beginning and increasing until the customer can still bear the treatment. What are the reported Adverse Reactions to Face Professional HIFU Treatments? No adverse reactions are published by most manufacturers, this is done to avoid potential loos of business. However there have been reported cases of some temporary adverse reactions to HIFU treatments. Bruising of the area treated. 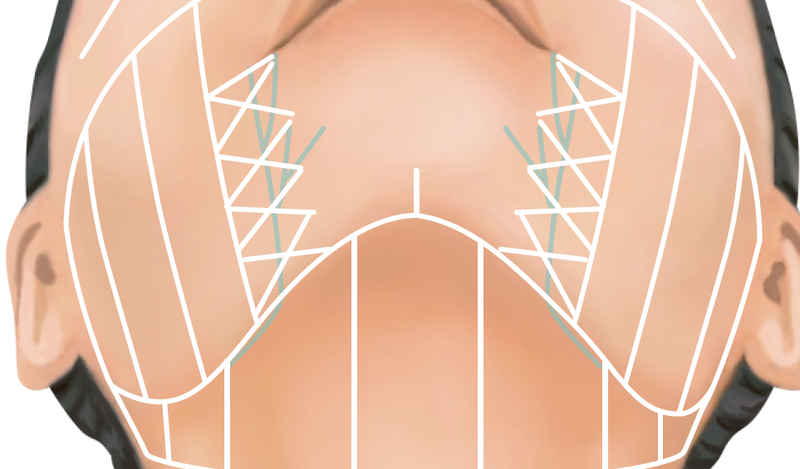 Why Temporary Marginal Mandibular Paralisis has been reported and why it occurred? In Light Blu3 the location of the Marginal Mandibular Nerve. This type of paralysis occurs when the nerve has been injured in some way. 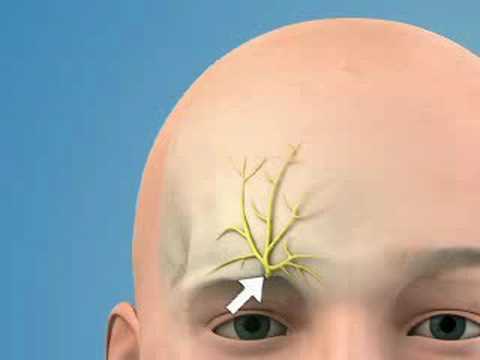 This injuries to the nerve can occur during injections ( (usually inject-able fillers or botox) if the needle touches the nerve. Similar injuries to this nerve have also been reported after plastic surgery . 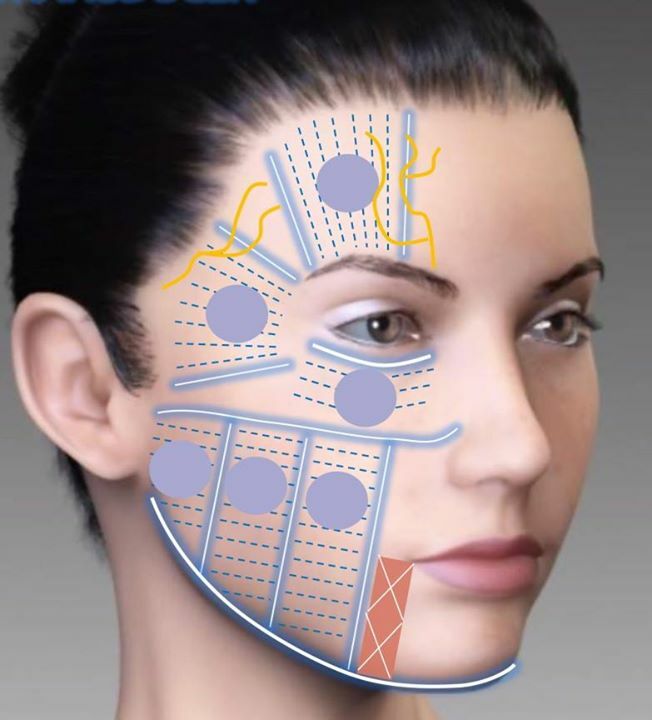 It has also occurred during plastic surgery and This has happened because the cartridges 3.0 and 4.5 mm can deliver the focused energy to depths where the nerve is located. fortunately as we will see this type of injury has not been permanent up to date and can be avoided by taking symple certain precautions during the treatment. This type of injuries is the main side effect produced by the misuse of Hifu devices. This is due to the albative power of the professioanll HIFU devices. In the pictures below you can see the effects that this type of injury porducdes on the subject. 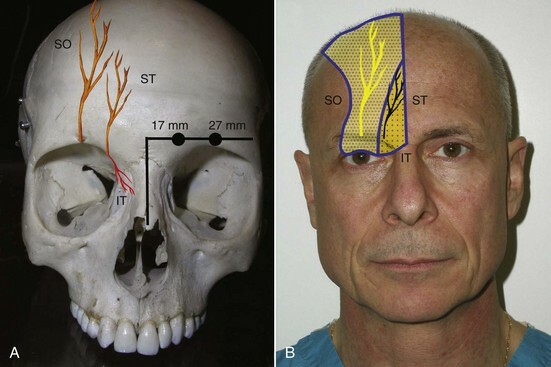 (A) Effects of the temporary partial paralisys of the Mandibular Nerve. (B) The Subject after a full recovery. Yet another example of the effects of lesion of the Marginal Mandibular Nerve. There are two types of Marginal Maibular Nerve Paralisis. Permenanent. When the nerve is cut. Temporary. When the nerve is not cut but only injured. The permantnt paralysy occurs when the permanent when the nerve is cut. In this case the injury is permanent and there are not known ways to reverse this paralisis. 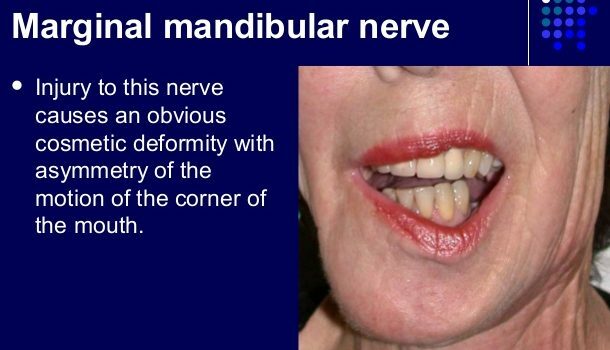 This type of permenent nerve injury can occur during surgical procedure to the mandibular area or chin where the nerval termination is located. However only the nerve is cut the paralisisis is permennt, however when the injury does not involve the truncation of the nerve (Ie injections, Hifu Treatments, contusion, etc) do cause a temporary paralisis, This is because injuries to e peripheral nerves which do cont involve the truncation of the nerve resolve themselves over time. 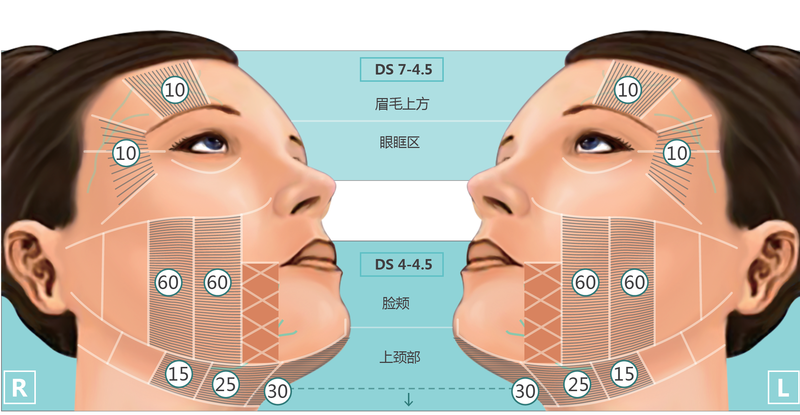 How to prevent mandibular nerve temporary paralysis? 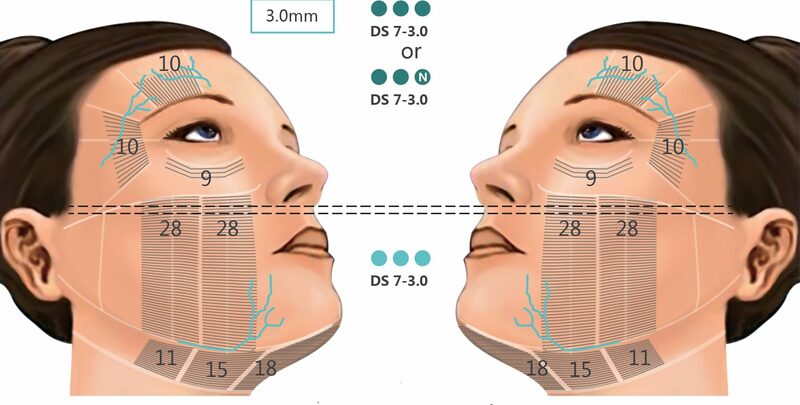 Make sure the treatment using the 4.5 mm and 3.0 mm cartridges does not cover the area s where the AMdibulr nerve is located (the area close to the mandibular bone is not covered by the treatment) region is not . (does not involver the cartridges 4.5 during treatment. This is the best way to avoid this tye of adverse reaction. Additionally the avoidance of the use of anaesthetics is prefereable to avoid this type of injuries, due t the fact that the HIFU treatment can be carryed out at intensities tolerable by the subject and therefore if nerval injury occurs this is only minor. 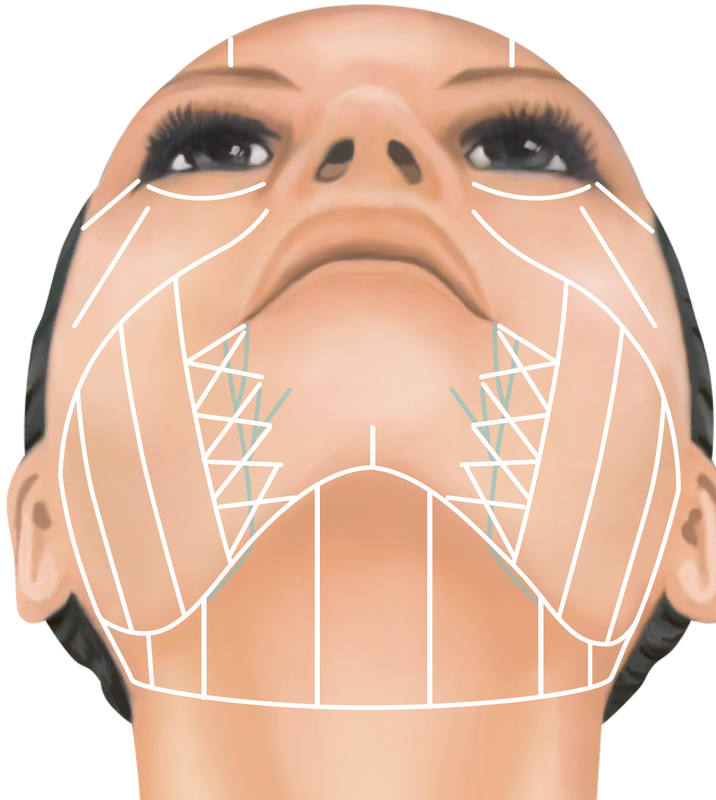 When treating using HIfu always avoid any treatment on the areas were the nerve is located with cartridges 4.5 and 3.0 mm. One of the adverse reactions to HIFU facial treatments are bruising. Bruising is a normal aderse reaction to the treatment because the ablation occurs at dermal layer wher the blood supply the present, therefore some blood vessel can be ruptured by the HIFU energy. This is inevitable dure to the very nature of the type fo treatment. Fortunately, this is only temporary and and the ection to this type of treatment.